And speaking of to-do’s, Inbox helps you cross those off your list by providing Assists—handy pieces of information you may need to get the job done. For example, if you write a Reminder to call the hardware store, Inbox will supply the store’s phone number and tell you if it's open. Assists work for your email, too. If you make a restaurant reservation online, Inbox adds a map to your confirmation email. Book a flight online, and Inbox gives a link to check-in. Of course, not everything needs to be done right now. Whether you’re in an inconvenient place or simply need to focus on something else first, Inbox lets you Snooze away emails and Reminders. You can set them to come back at another time or when you get to a specific location, like your home or your office. Starting today, we’re sending out the first round of invitations to give Inbox a try, and each new user will be able to invite their friends. If Inbox can’t arrive soon enough for you, you can email us at inbox@google.com to get an invitation as soon as more become available. 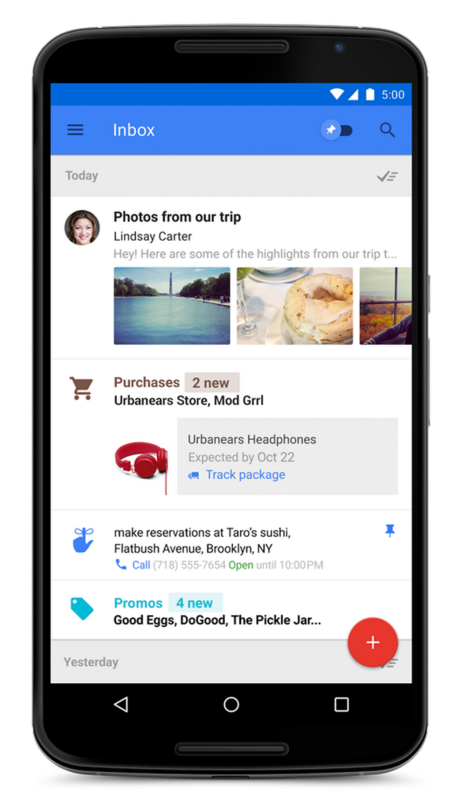 When you start using Inbox, you’ll quickly see that it doesn’t feel the same as Gmail—and that’s the point. 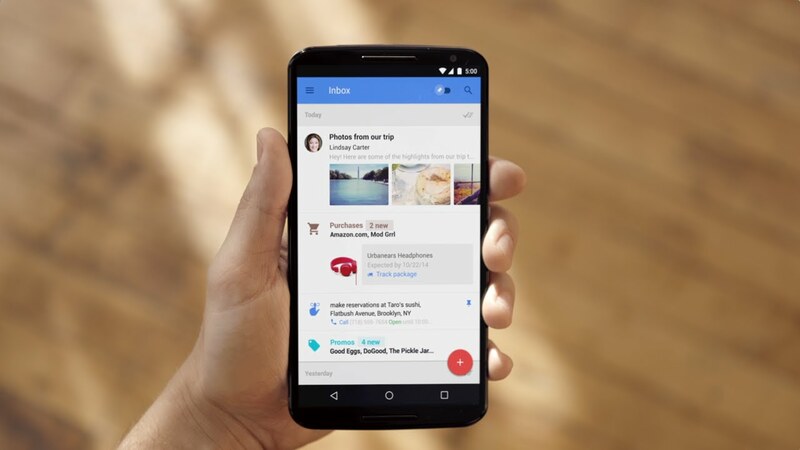 Gmail’s still there for you, but Inbox is something new. It’s a better way to get back to what matters, and we can’t wait to share it with you.